Youssef Msakni was predicted to play a key role for the African side, who face the Three Lions this summer. TUNISIA forward Youssef Msakni has been ruled out of the World Cup after sustaining a serious knee injury. The 27-year-old was expected to be a key figure for his country in a tough group, which includes England, Belgium and Panama. 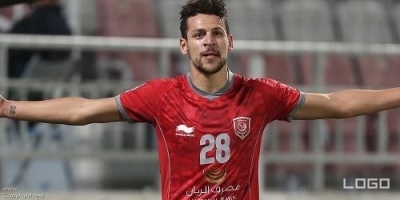 He was injured during Al Duhail's 5-2 win over Al Sailiya in the Qatar Stars League (QSL) on Saturday with the club later saying in a statement that he will be out of action for six months. Msakni took to Instagram to celebrate the club's sixth QSL title where he confirmed the injury. "Thank God for this, but it's just fate to experience the unexpected," he said. "Congratulations for the trophy. Sadly this injury has denied me a chance to continue with my club and to play in the World Cup."